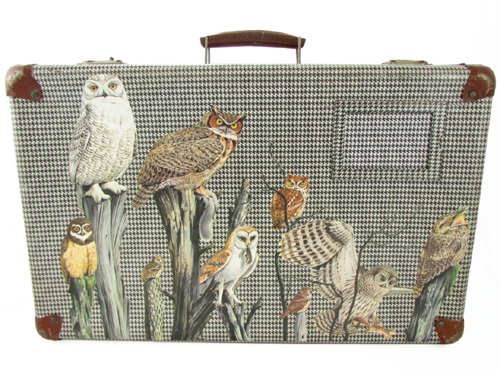 My Owl Barn: Up-cycled Vintage Suitcases by Uoldbag! 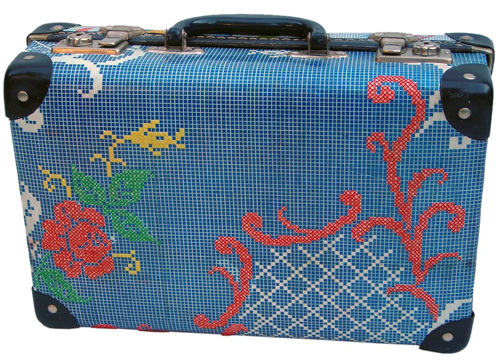 Lisa Tilley is a textile designer who founded Uoldbag in 2009. 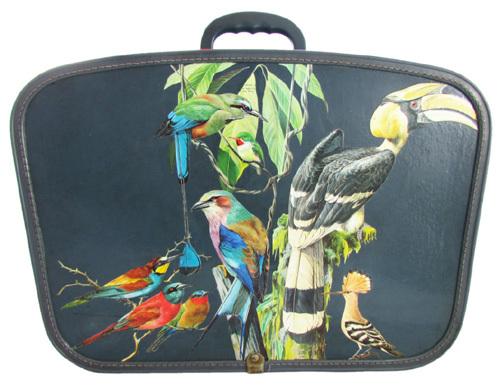 She refurbishes old bags and creates stunning one of a kind product which is fashionable as well as has the vintage charm. 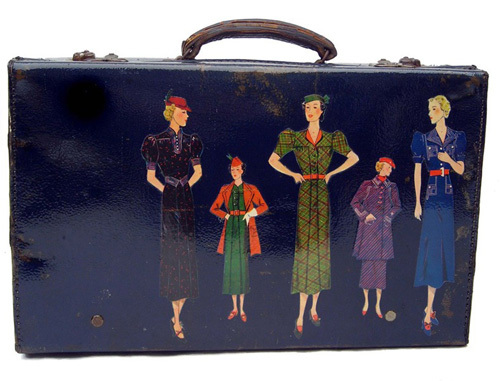 She uses old magazines, illustrations, photographs to decoupage vintage suitcases, bags and luggage and transforms them into 'new' products. "Some include imagery that has been painstakingly cut out and applied using the art of decoupage, others hand embroidery that has been carefully sewn over beautiful and delicate crochet patterned paper. 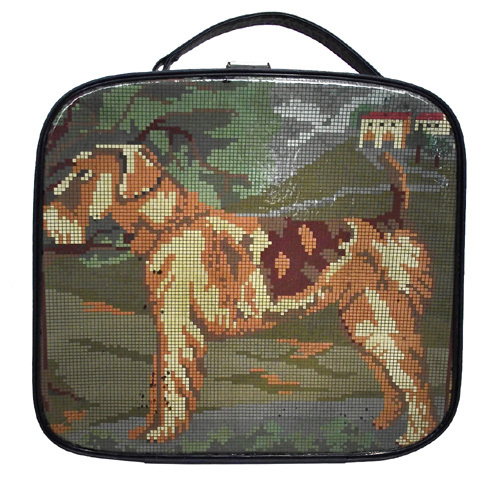 All are made with materials that have had a previous life: magazines, newspapers and home furnishings such as retro print curtains, pillow cases and tea cosy’s." Visit her online store to see all of her products and if you see something that you like, grab it now before it's gone! This suitcases are perfect to store your wedding stuff, seasonal accessories or simply use them to decorate with them while you are at home!